Rating: 1 of 5 I will not finish reading this book. I think this is a poorly written book. His history is uneven. He often makes statements that I think demand explanation, and his explanations are weak (kind of like this sentence). I do not follow his proofs. Much of this may be due to a lack of definitions. The figures do not help, because he refers to them in unclear (or even misleading) ways. I think the editor had no understanding of the topic. The editor was out of this league. The author shows that this topic has the potential for an interesting book. However, this is not it. I have many other books to read, and will stop wasting my time on this one – right now. Rating: 5 of 5 This book gave me a new appreciation for difficulty of the many-body problem, and what insights are possible. It gave me a new respect for those people who pursue those difficult problems. 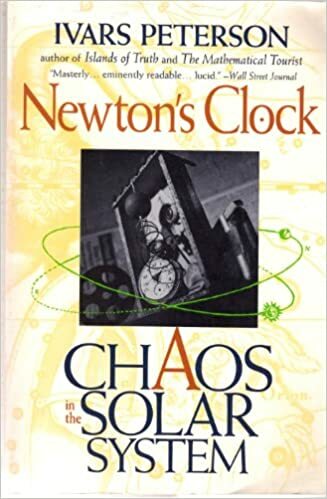 One of the opportunities I have during retirement is to revisit my library, to reread books I have enjoyed in the past, and to read some of the books I bought, but never got around to reading. This is one of those books I’ve had for a long time, possibly over 20 years, but never read. Now I wish I had read it much earlier. I’d like to have read it while in graduate school. However it was not yet available, indeed much of the work discussed, had not been accomplished yet. I had been thinking of seeing the 2017 solar eclipse, for a year or so. I was planning to visit my sister in Georgia, and driving north on I85 to Anderson, SC. I had scouted a couple rest areas along I85, and an Anderson city park along Lake Hartwell. But this is not what happened. My schedule changed so we could not leave until Sunday afternoon. I made reservations for Statesville, NC for two nights, about a 2 1/2 hrs drive to Anderson, SC. These were made about a week in advance, with no trouble. I think I could have gotten reservations in Charlotte, but did not want to drive that far on the first leg. Statesville also offered easy access to I40, in case of needs for alternate plans. Long range weather forecasts showed about 50% cloud cover, but there was a gap between high cloud cover on the coast and in the Smoky Mts, On Friday the forecast shifted tho relatively clear skies. Great! At the time of the 1979 eclipse, I lived along the total eclipse path but was clouded out. I am sensitive to this issue. We arrived in Statesville about 9:30PM, and planned to leave about 9:30AM. This should have gotten us to Anderson near noon, about an hour before the eclipse began, after 1PM. Plenty of time. I tried to anticipate heavy traffic, but was hoping Americans weren’t that interested in the eclipse. I was wrong. We took I40 to US321 to avoid the Lake Norman area and Charlotte. However, when we got on I85 traffic quickly slowed down. Even though trucks tended to keep to the right, traffic tended to slow going uphill and move a little faster. We tried taking US74 for a while but ended up back on I85 before Spartanburg. We took I85 to Greenville and got to the northern outskirts about 1PM. We grabbed some takeout food, looked at maps and decided to head toward Easley and Clemson. We took US123 past Easley and about 2PM pulled off at a historical marker, pulled out the chairs, set up the telescope and watched as the partial eclipse progressed to totality. During Totality, I had a couple surprises. The Corona was larger than I expected, maybe an additional solar diameter. The sky did not get as dark as I expected, retaining a dark blue tinge. There was some redness on both the North and South horizons. The part of totality was fairly narrow, and the maximum time of totality short, about 2:37 min. Total Eclipses can last over 4 min. The suddenness of the darkness, and return of light, was also surprising. Venus was bright, but I did not find Mars or Mercury. At the end of the eclipse I discovered I had not removed the solar filter from to telescope, so I got only one picture showing the Corona as the sun emerged. After the eclipse we relaxed a little and slowly repacked, leaving a bit after 3PM. My wife had noticed much more traffic after the eclipse presumably from the Clemson celebration. For the return trip we took US25 toward Ashville, NC. This traffic was slow but moving. We got to Ashville about 6, but once we got on I40, quickly ran into another problem. A tractor trailer had gone off the road just after Black Mountain. We ran into the backup about 6 mi before the accident. It took two hours to clear the accident. They kept one lane open. However, I do not understand why, once they got the driver out, they did not open the road, clear the traffic, and leave the truck until latter. We arrived back in Statesville about 10:30, after a long day, and a long drive. 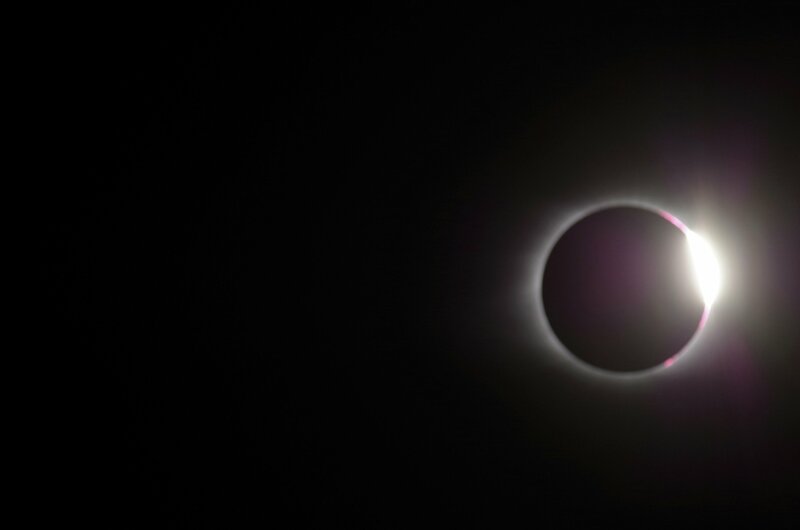 The travel for the day was trying, but worth the experience of the total eclipse. That shift from the odd lighting of the deep partial eclipse, to the deep twilight of the total eclipse. Seeing the wonder of the solar corona is something I won’t forget. I am interested in reproducing the “Eddington” Experiment, which demonstrated The gravitational shift of star positions. Now, I have not been practising, so the likelihood of my success is very low. But I still intend to try, to see what information I can obtain. First, I show a roughly 70 degree wide star field. It is of interest because it shows Venus is within 35 degrees, roughly west, of the sun. Two Weeks Until the Eclipse! Source: Two Weeks Until the Eclipse!